The Government of Kenya, through the State Department of Livestock has announced a payout of Ksh87 million for pastoralists insured under the Kenya Livestock Insurance Program (KLIP). Speaking at a press conference on 7 March 2019 where he declared payouts for the short-rains season (October–December 2018), the cabinet secretary for Agriculture Livestock Fisheries and Irrigation, Hon. Mwangi Kiunjuri reiterated the Government of Kenya’s commitment towards provision of agricultural insurance targeting crop and livestock farmers across the country. Shamsa Kosar, a beneficiary of a previous payout by Takaful insurance in Wajir, northern Kenya (photo credit: ILRI/Riccardo Gangale). KLIP is a satellite-based index insurance product, whose aim is to cushion smallholder pastoralists against drought-related loss of their key productive asset, livestock. Payments are based on measurements of forage conditions made via satellite for each area. Low cost, accessible and reliable satellite-based indicators of pasture availability act as triggers for indemnities to pastoralists incase a strong forage deficit is indicated over a defined period and geographical location. 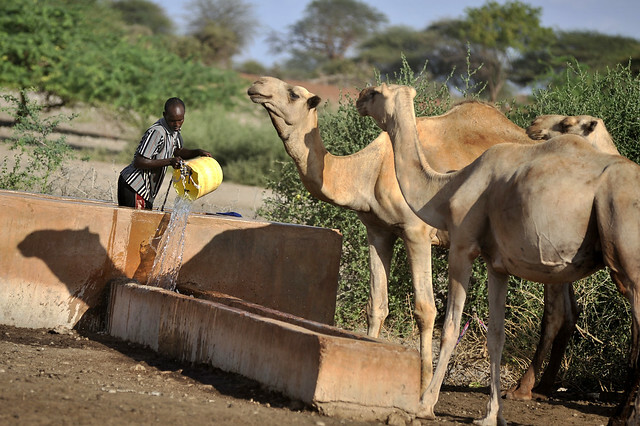 The program is therefore an asset protection contract whose payouts are designed to trigger in-between the end of a poor rainy season and at the beginning of a dry season, thus enabling pastoralists to use the cash received to purchase fodder, water, veterinary drugs and allied services that would help keep their livestock alive during the drought period. 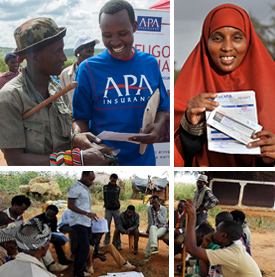 There are currently 18,000 pastoralists’ households insured through KLIP. These households are distributed in the eight counties of implementation; Isiolo, Marsabit, Wajir, Garissa, Tana River, Turkana, Samburu and Mandera. KLIP was launched in 2014 as a pilot program in Wajir and Turkana counties where 5,000 households were covered, with over 25,000 Tropical Livestock Units (TLU) covered across the two counties (1 TLU is equivalent to 1 cow). Over the last four years KLIP has expanded to cover six additional counties, bringing the total number of households under cover to 18,000 and the TLUs covered to over 70,000. Private insurance companies have been the underwriters of the KLIP product since inception, and for this payout Takaful Insurance of Africa is the lead underwriter. Livestock is a major contributor to Kenya’s economy, providing about 42% of the agricultural GDP and 12% of the national GDP. It is for this reason that mainstreaming livestock production is provided for under Sessional Paper No. 2 of 2008 on the National Livestock Policy as well as the Agriculture Sector Transformation and Growth Strategy, 2010-2022 and the overarching Vision 2030. In his speech, the cabinet secretary highlighted that, ‘these guiding policy frameworks provide the necessary strategic thrust to ensure that the livestock subsector makes its rightful contribution to the economic development of Kenya. Further, the current Medium-Term Plan (2018-2022) and the government policy on agricultural risk management recognizes the important role insurance instruments will play in cushioning pastoralists from the effects of drought’. He also stated that considering the sustainability of the program, plans are underway by the government to start a partial voluntary cover, where the government will provide one extra cover for every cover bought from the voluntary market. County governments were requested to set aside funds to complement the efforts of the national government of cushioning vulnerable members of the society from extreme shocks resulting from drought. The cabinet secretary also encouraged insurance companies to carry out voluntary insurance sales in order to enhance sustainability of the insurance product. While there have been targeted efforts to bring KLIP to sustainable scale in Kenya through collaboration with public and private sector actors and development partners, the International Livestock Research Institute (ILRI) and the World Bank who have been spearheading research and technical support in its implementation are now faced with growing demand for replication and scale up of similar approaches from countries within the Horn of Africa. Ethiopia for instance is at the formative stages of setting up a taskforce to look into the feasibility of a national livestock insurance scheme – similar to KLIP, to which ILRI is a member. 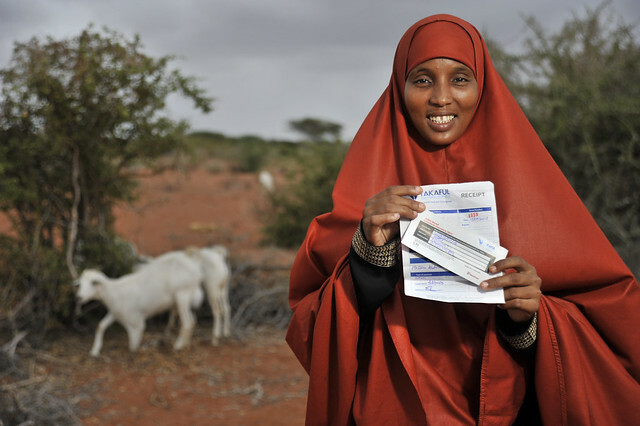 A feasibility study led by the World Bank and ILRI is currently underway in Somalia with the aim of advising the Federal Government of Somalia on the possible approaches and benefits of setting up an index-based livestock insurance scheme. In –­Niger, West Africa, a feasibility study was also conducted by ILRI and partners (Cornell University and CARE international) in 2018, to determine the operational, financial and social-economic viability of launching a product like KLIP in the region. Despite this demand, the general experience gained over the years of implementing index-based livestock insurance (IBLI) indicates that emphasis should always be directed towards getting the science right with regards to contract design, identifying, incentivizing and sustaining the right public and private sector partners, creating awareness as well as building local capacity in order to implement IBLI successfully. Written by Duncan Khalai with contributions from Sarah Kasyoka. Read a related business daily article. Tags: KLIP. Bookmark the permalink.